A Grand Experiment, indeed. Morse Conquers All. 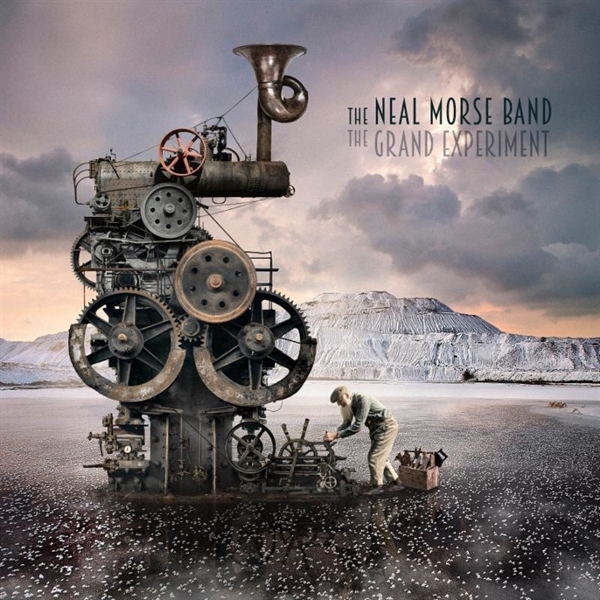 The Neal Morse Band, The Grand Experiment (Radiant Records, 2015), Special Edition. Tracks: The Call; The Grand Experiment; Waterfall; Agenda; Alive Again; New Jerusalem (Freedom is Coming); Doomsday Destiny; MacArthur Park; The Creation (Live); and Reunion (Live). Not as beautiful as last year’s Flying Color’s SECOND NATURE album cover, but just as intriguing. “The Call” begins with a multipart gospel/Trevor Rabin-Yes era harmony before breaking into a wild keyboard/drum sequence that is pure third-wave prog. Quickly, all instruments play at full blast. It’s a rather ingenious immersion into the album.